Cyberpsychology is a fascinating field of research, yet it requires a lot of financial resources for its advancement. 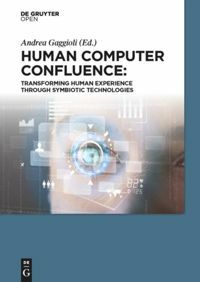 As an inherently interdisciplinary endeavor, the implementation of a cyberpsychology study often involves the collaboration of several scientific disciplines outside psychology, such as experts in human-computer interaction, software developers, data scientists, and engineers. Further, an increasing number of cyberpsychology studies consist of clinical trials, which can last several months (or even years) and involve a significant investment of economic resources. On the other side, finding adequate fundings is becoming the most pressing challenge for most cyberpsychologists. This is due to several factors. First, governments university funding has fallen dramatically in most countries and the trend for the next years is not encouraging. Second, competition for grants is very high and it is likely to remain so. A third, - and perhaps less obvious - factor is that Cyberpsychology research tends to attract less fundings than other allied disciplines, i.e. medicine. Given this situation, what can be done to allow cyberpsychologists to keep furthering their research? A possible strategy is to improve “lateral thinking” and find a way to optimize costs. This can be done, for example, by taking advantage of free, open source software/service/tools to support the different phases of the research process – design, implementation, collaboration, monitoring, data analysis, reporting, etc. These open-source tools are not only free, but sometimes even more powerful than existing proprietary software and services. For example, a fairly comprehensive set of free office productivity tools can be found online. These include word processor, spreadsheet (i.e. the OpenOffice suite), slide presentations, graphic programs (i.e. Gimp, http://www.gimp.org/). As concerns the implementation of laboratory experiments, several software platforms are available for programming psychological studies. For example, PsychoPy is a user-friendly open-source application that allows the presentation of stimuli and collection of data for a wide range of neuroscience, psychology and psychophysics experiments. For the analysis of data, possible alternatives to commercial statistical packages include the R language for statistical computing, a free software environment for statistical computing and graphics (coupled with R-Commander or Rstudio for those who are not comfortable with line-command interfaces). And when it is time to writing a paper, free tools exist designed for the production of technical and scientific documentation, such as the popular program LaTeX, which can be used in combination to reference manager software like JabRef. And what about Virtual Reality? Our NeuroVR platform is a free tool that young researchers (i.e. MS students, PhD students) can use to move their first scientific steps in the virtual realm. Needless to say, the most expensive budget item in a research plan remains personnel costs. However, I think that by having a look at the many free scientific tools, resources and services that are available, it might be possible to significantly reduce the costs; at the same time, this approach offers the opportunity to support the growth of the open source community in our discipline. Abstract. Objective. The bedside detection of potential awareness in patients with disorders of consciousness (DOC) currently relies only on behavioral observations and tests; however, the misdiagnosis rates in this patient group are historically relatively high. In this study, we proposed a visual hybrid brain-computer interface (BCI) combining P300 and steady-state evoked potential (SSVEP) responses to detect awareness in severely brain injured patients. Approach. Four healthy subjects, seven DOC patients who were in a vegetative state (VS, n = 4) or minimally conscious state (MCS, n = 3), and one locked-in syndrome (LIS) patient attempted a command-following experiment. In each experimental trial, two photos were presented to each patient; one was the patient's own photo, and the other photo was unfamiliar. The patients were instructed to focus on their own or the unfamiliar photos. The BCI system determined which photo the patient focused on with both P300 and SSVEP detections. Main results. Four healthy subjects, one of the 4 VS, one of the 3 MCS, and the LIS patient were able to selectively attend to their own or the unfamiliar photos (classification accuracy, 66-100%). Two additional patients (one VS and one MCS) failed to attend the unfamiliar photo (50-52%) but achieved significant accuracies for their own photo (64-68%). All other patients failed to show any significant response to commands (46-55%). Significance. Through the hybrid BCI system, command following was detected in four healthy subjects, two of 7 DOC patients, and one LIS patient. We suggest that the hybrid BCI system could be used as a supportive bedside tool to detect awareness in patients with DOC. Characteristics of Successful Technological Interventions in Mental Resilience Training. Abstract. In the last two decades, several effective virtual reality-based interventions for anxiety disorders have been developed. Virtual reality interventions can also be used to build resilience to psychopathology for populations at risk of exposure to traumatic experiences and developing mental disorders as a result, such as for people working in vulnerable professions. Despite the interest among mental health professionals and researchers in applying new technology-supported interventions for pre-trauma mental resilience training, there is a lack of recommendations about what constitutes potentially effective technology-supported resilience training. This article analyses the role of technology in the field of stress-resilience training. It presents lessons learned from technology developers currently working in the area, and it identifies some key clinical requirements for the supported resilience interventions. Two processes made up this research: 1) developers of technology-assisted resilience programs were interviewed regarding human-computer interaction and system development; 2) discussions with clinicians were prompted using technology-centered concept storyboards to elicit feedback, and to refine, validate and extend the initial concepts. A qualitative analysis of the interviews produced a set of development guidelines that engineers should follow and a list of intervention requirements that the technology should fulfill. These recommendations can help bridge the gap between engineers and clinicians when generating novel resilience interventions for people in vulnerable professions. Ekso is an exoskeleton bionic suit or a "wearable robot" designed to enable individuals with lower extremity paralysis to stand up and walk over ground with a weight bearing, four point reciprocal gait. Walking is achieved by the user’s forward lateral weight shift to initiate a step. Battery-powered motors drive the legs and replace neuromuscular function. A post-stroke rehabilitation system integrating robotics, VR and high-resolution EEG imaging. We propose a system for the neuro-motor rehabilitation of upper limbs in stroke survivors. The system is composed of a passive robotic device (Trackhold) for kinematic tracking and gravity compensation, five dedicated virtual reality (VR) applications for training of distinct movement patterns, and high-resolution EEG for synchronous monitoring of cortical activity. In contrast to active devices, the Trackhold omits actuators for increased patient safety and acceptance levels, and for reduced complexity and costs. VR applications present all relevant information for task execution as easy-to-understand graphics that do not need any written or verbal instructions. High-resolution electroencephalography (HR-EEG) is synchronized with kinematic data acquisition, allowing for the epoching of EEG signals on the basis of movement-related temporal events. Two healthy volunteers participated in a feasibility study and performed a protocol suggested for the rehabilitation of post-stroke patients. Kinematic data were analyzed by means of in-house code. Open source packages (EEGLAB, SPM, and GMAC) and in-house code were used to process the neurological data. Results from kinematic and EEG data analysis are in line with knowledge from currently available literature and theoretical predictions, and demonstrate the feasibility and potential usefulness of the proposed rehabilitation system to monitor neuro-motor recovery. The effects of augmented visual feedback during balance training in Parkinson's disease: study design of a randomized clinical trial. Abstract. BACKGROUND: Patients with Parkinson's disease often suffer from reduced mobility due to impaired postural control. Balance exercises form an integral part of rehabilitative therapy but the effectiveness of existing interventions is limited. Recent technological advances allow for providing enhanced visual feedback in the context of computer games, which provide an attractive alternative to conventional therapy. The objective of this randomized clinical trial is to investigate whether a training program capitalizing on virtual-reality-based visual feedback is more effective than an equally-dosed conventional training in improving standing balance performance in patients with Parkinson's disease. METHODS/DESIGN: Patients with idiopathic Parkinson's disease will participate in a five-week balance training program comprising ten treatment sessions of 60 minutes each. Participants will be randomly allocated to (1) an experimental group that will receive balance training using augmented visual feedback, or (2) a control group that will receive balance training in accordance with current physical therapy guidelines for Parkinson's disease patients. Training sessions consist of task-specific exercises that are organized as a series of workstations. Assessments will take place before training, at six weeks, and at twelve weeks follow-up. The functional reach test will serve as the primary outcome measure supplemented by comprehensive assessments of functional balance, posturography, and electroencephalography. DISCUSSION: We hypothesize that balance training based on visual feedback will show greater improvements on standing balance performance than conventional balance training. In addition, we expect that learning new control strategies will be visible in the co-registered posturographic recordings but also through changes in functional connectivity. Virtual reality for the assessment of frontotemporal dementia, a feasibility study. Abstract Purpose: Behavioral variant frontotemporal dementia (bvFTD) is a non-Alzheimer dementia characterized by difficulty in documenting social-emotional changes. Few investigations have used virtual reality (VR) for documentation and rehabilitation of non-Alzheimer dementias. Methods: Five bvFTD patients underwent insight interviews while immersed in a virtual environment. They were interviewed by avatars, their answers were recorded, and their heart rates were monitored. They were asked to give ratings of their stress immediately at the beginning and at the end of the session. 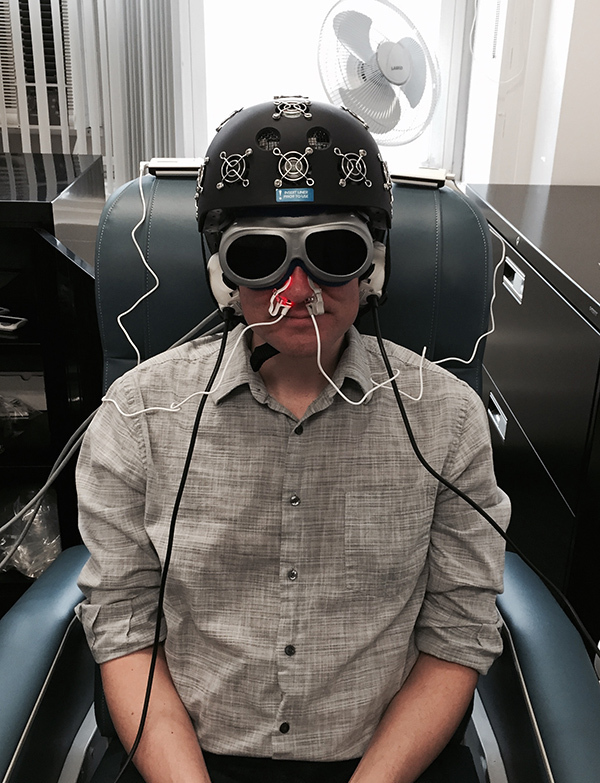 Results: The patients tolerated the head-mounted display and VR without nausea or disorientation, heart rate changes, or worsening stress ratings. Their insight responses were comparable to real world interviews. All bvFTD patients showed their presence in the VR environment as they moved their heads to face and respond to each avatar's questions. The bvFTD patients tended to greater verbal elaboration of answers with larger mean length of utterances compared to their real world interviews. Conclusions: VR is feasible and well-tolerated in bvFTD. These patients may have VR responses comparable to real world performance and they may display a presence in the virtual environment which could even facilitate assessment. Further research can explore the promise of VR for the evaluation and rehabilitation of dementias beyond Alzheimer's disease. Implications for Rehabilitation Clinicians need effective evaluation and rehabilitation strategies for dementia, a neurological syndrome of epidemic proportions and a leading cause of disability. Memory and cognitive deficits are the major disabilities and targets for rehabilitation in Alzheimer's disease, the most common dementia. In contrast, social and emotional disturbances are the major disabilities and targets for rehabilitation in behavioral variant frontotemporal dementia (bvFTD), an incompletely understood non-Alzheimer dementia. Virtual reality is a technology that holds great promise for the evaluation and rehabilitation of patients with bvFTD and other non-Alzheimer dementias, and preliminary evidence suggests that this technology is feasible in patients with bvFTD. Evaluation of a virtual reality prospective memory task for use with individuals with severe traumatic brain injury. The current study aimed to evaluate the sensitivity, convergent validity and ecological validity of a newly developed virtual reality prospective memory (PM) task (i.e., the Virtual Reality Shopping Task; VRST) for use with individuals with traumatic brain injury (TBI). Thirty individuals with severe TBI and 24 uninjured adults matched on age, gender and education level were administered the VRST, a lexical decision PM task (LDPMT), an index of task-friendliness and a cognitive assessment battery. Significant others rated disruptions in the TBI participants' occupational activities, interpersonal relationships and independent living skills. The performance of the TBI group was significantly poorer than that of controls on event-based PM as measured by the LDPMT, and on time- and event-based PM as measured by the VRST. Performance on the VRST significantly predicted significant others' ratings of patients' occupational activities and independent living skills. The VRST was rated as significantly more reflective of an everyday activity, interesting and was afforded a higher recommendation than the LDPMT. For the TBI group, event and total PM performance on the VRST significantly correlated with performance on measures of mental flexibility and verbal fluency, and total PM performance correlated with verbal memory. These results provide preliminary but promising evidence of the sensitivity, as well as the convergent and ecological validity of the VRST. Virtual Reality for Sensorimotor Rehabilitation Post-Stroke: The Promise and Current State of the Field. Developments over the past 2 years in virtual reality (VR) augmented sensorimotor rehabilitation of upper limb use and gait post-stroke were reviewed. Studies were included if they evaluated comparative efficacy between VR and standard of care, and or differences in VR delivery methods; and were CEBM (center for evidence based medicine) level 2 or higher. Eight upper limb and two gait studies were included and described using the following categories hardware (input and output), software (virtual task and feedback and presentation) intervention (progression and dose), and outcomes. Trends in the field were commented on, gaps in knowledge identified, and areas of future research and translation of VR to practice were suggested. They attached electrodes to the skin of the remaining arm of an amputee to read the myoelectric signals from the muscles below. Additionally, the arm was tracked in 3D using a marker so that the data could be integrated into a moving generated avatar as well as computer games. The amputee moves the arm of the avatar like he would if his own still existed, while the brain becomes reacquainted with its presence. After repeated use, and playing video games that were controlled using the same myoelectric interface, the person in the study had significant pain reduction after decades of phantom limb pain. A high-fidelity virtual environment for the study of paranoia. Abstract. Psychotic disorders carry social and economic costs for sufferers and society. Recent evidence highlights the risk posed by urban upbringing and social deprivation in the genesis of paranoia and psychosis. Evidence based psychological interventions are often not offered because of a lack of therapists. Virtual reality (VR) environments have been used to treat mental health problems. VR may be a way of understanding the aetiological processes in psychosis and increasing psychotherapeutic resources for its treatment. We developed a high-fidelity virtual reality scenario of an urban street scene to test the hypothesis that virtual urban exposure is able to generate paranoia to a comparable or greater extent than scenarios using indoor scenes. Participants (n = 32) entered the VR scenario for four minutes, after which time their degree of paranoid ideation was assessed. We demonstrated that the virtual reality scenario was able to elicit paranoia in a nonclinical, healthy group and that an urban scene was more likely to lead to higher levels of paranoia than a virtual indoor environment. We suggest that this study offers evidence to support the role of exposure to factors in the urban environment in the genesis and maintenance of psychotic experiences and symptoms. The realistic high-fidelity street scene scenario may offer a useful tool for therapists. Effects of the addition of transcranial direct current stimulation to virtual reality therapy after stroke: A pilot randomized controlled trial. Abstract. BACKGROUND: Upper limb (UL) impairment is the most common disabling deficit following a stroke. Previous studies have suggested that transcranial direct current stimulation (tDCS) enhances the effect of conventional therapies. OBJECTIVE: This pilot double-blind randomized control trial aimed to determine whether or not tDCS, combined with Wii virtual reality therapy (VRT), would be superior to Wii therapy alone in improving upper limb function and quality of life in chronic stroke individuals. METHODS: Twenty participants were randomly assigned either to an experimental group that received VRT and tDCS, or a control group that received VRT and sham tDCS. The therapy was delivered over 15 sessions with 13 minutes of active or sham anodal tDCS, and one hour of virtual reality therapy. The outcomes included were determined using the Fugl-Meyer scale, the Wolf motor function test, the modified Ashworth scale (MAS), grip strength, and the stroke specific quality of life scale (SSQOL). Minimal clinically important differences (MCID) were observed when assessing outcome data. RESULTS: Both groups demonstrated gains in all evaluated areas, except for the SSQOL-UL domain. Differences between groups were only observed in wrist spasticity levels in the experimental group, where more than 50% of the participants achieved the MCID. CONCLUSIONS: These findings support that tDCS, combined with VRT therapy, should be investigated and clarified further. Effectiveness and feasibility of virtual reality and gaming system use at home by older adults for enabling physical activity to improve health-related domains: a systematic review. BACKGROUND: use of virtual reality and commercial gaming systems (VR/gaming) at home by older adults is receiving attention as a means of enabling physical activity. OBJECTIVE: to summarise evidence for the effectiveness and feasibility of VR/gaming system utilisation by older adults at home for enabling physical activity to improve impairments, activity limitations or participation. METHODS: a systematic review searching 12 electronic databases from 1 January 2000-10 July 2012 using key search terms. Two independent reviewers screened yield articles using pre-determined selection criteria, extracted data using customised forms and applied the Cochrane Collaboration Risk of Bias Tool and the Downs and Black Checklist to rate study quality. RESULTS: fourteen studies investigating the effects of VR/gaming system use by healthy older adults and people with neurological conditions on activity limitations, body functions and physical impairments and cognitive and emotional well-being met the selection criteria. Study quality ratings were low and, therefore, evidence was not strong enough to conclude that interventions were effective. Feasibility was inconsistently reported in studies. Where feasibility was discussed, strong retention (≥70%) and adherence (≥64%) was reported. Initial assistance to use the technologies, and the need for monitoring exertion, aggravation of musculoskeletal symptoms and falls risk were reported. CONCLUSIONS: existing evidence to support the feasibility and effectiveness VR/gaming systems use by older adults at home to enable physical activity to address impairments, activity limitations and participation is weak with a high risk of bias. The findings of this review may inform future, more rigorous research.